The Jandy® Pro Series AquaLink® PDA automation system provides feature-rich, complete pool and spa control. The PDA system also includes the AquaLink Wireless Handheld Remote for convenient in-home or pool-side control and programming. Virtually every function of your pool can be controlled, including jets, lights, pool/spa switching, pump speeds, and heater or heat pump temperature and control settings, to name a few. 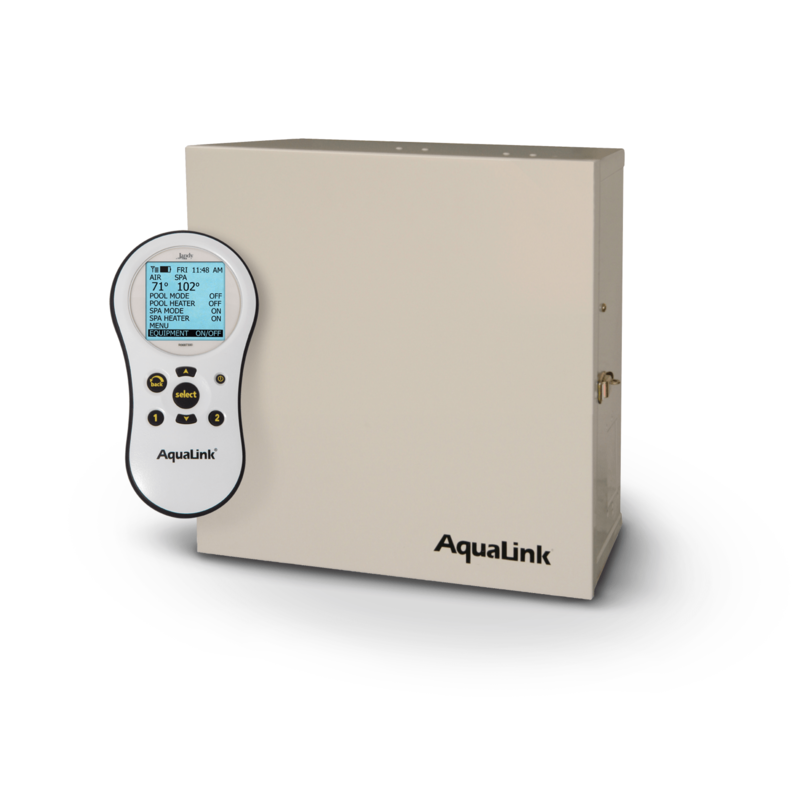 Schedule filter pumps, pool and yard lights, or any other water feature directly from the AquaLink Wireless Remote. Control your pool from your smartphone, tablet, or any web‐connected device when you add iAquaLink™ to your PDA system. Sitting poolside, relaxing in the spa, or lounging in a hammock – enjoy wireless remote control of your pool, spa, landscape lighting, or anything else AquaLink can control. With the Aqualink Wireless Remote you can control and program your pool with ease. 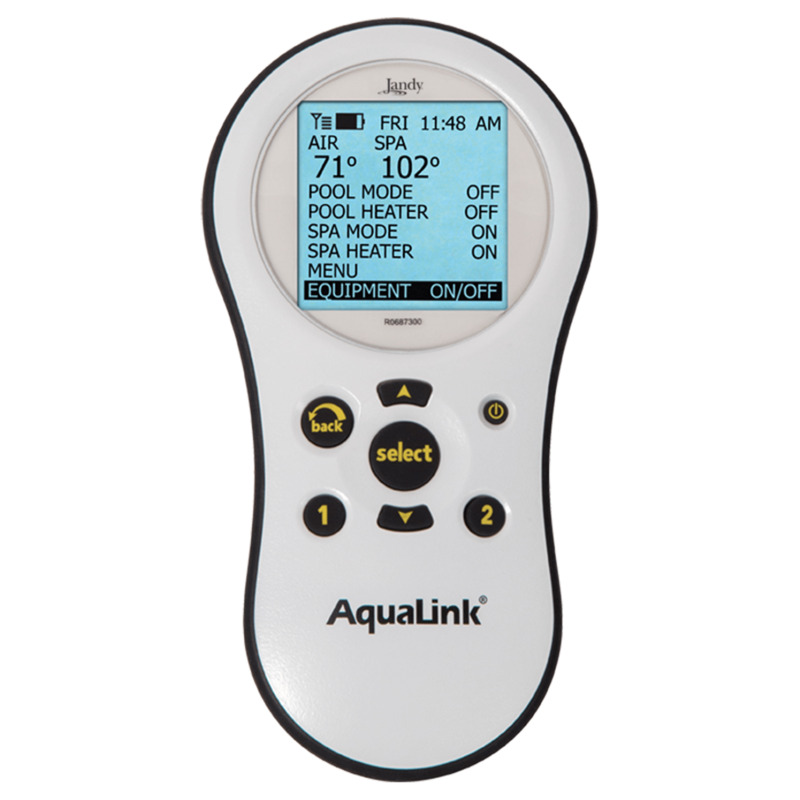 Featuring a water‐resistant housing and non‐slip grip, the AquaLink Wireless Remote allows you to control all pool/spa features and auxiliaries and has a large screen to clearly display status and functions. Control your pool anytime, anywhere, from any web‐connected device when you add the iAqualink web‐connect device to your AquaLink PDA system (Rev 6.0 or newer). User accounts and apps are free. There are no hidden charges, and nothing more to buy.